Easter is approaching – it is next Sunday, March 27. For Italians, the Easter holiday means at the least a long weekend – Saturday to Monday, as the Monday after Easter, Pasquetta, is also a national holiday. Here are a few ideas to plan your Easter weekend (note: expect crowds). The third edition of the Festa del Camminare (‘Festival of Walking’) kicks off today and continues until March 28, the day of Pasquetta. 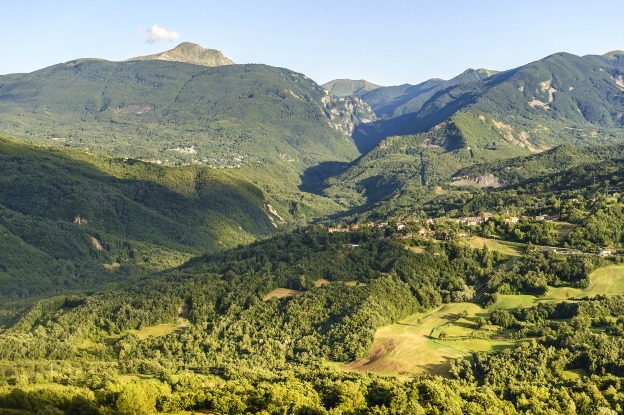 Organizers describe it as the “festival for all walkers.” It takes place on the trails and peaks of the Appennino Tosco-Emiliano, the Apennines range between the regions of Emilia-Romagna and Tuscany – more precisely, in the area around Corfino, in the Garfagnana, a valley in the province of Lucca. Many walks, as well as horse rides, end at the Rifugio Isera (1209m), the ‘living heart’ of the festival. There are even creative writing workshops taken while walking in nature with writers and philosophers. Discover the three Airone trails: number three takes you to Monte Prado (2054m), the ‘roof’ of Tuscany. For more information, click here. - The exhibition everyone is talking about is currently under way in Forlì, in the region of Emilia-Romagna: “Piero della Francesca. Exploring a Legend” is the perfect chance to admire the works of an artist who greatly contributed to the Renaissance, and was then largely forgotten until the 20th century (for more information, click here). Forlì can be the starting point for an exploration into the beautiful Romagna region, with its rolling hills, charming borghi and mouth-watering food; if the weather is nice, venture to the coast, half an hour away, for the first walks on the beach of the season. - Special opening of the Uffizi Gallery in Florence on Monday, March 28 (it is normally closed on Mondays), from 8:15 am to 6:50 pm. On Easter Sunday, the Uffizi will keep regular Sunday hours. You can reserve your visit in advance on both days by calling 055-294883. Please note many sites around Italy, which are usually closed on Mondays, will have special openings for Pasquetta. Check the individual websites for updated information. - Also in Florence, don’t miss the newly opened Museo dell’Opera del Duomo. 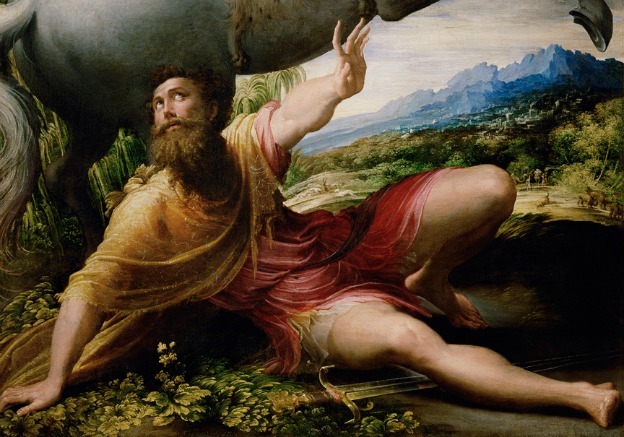 - In Rome, visit the recently inaugurated exhibition “Correggio and Parmigianino. Art in Parma in the 16th century,” held at the Scuderie del Quirinale. Admire a selection of masterpieces from some of the world's leading museums that display the careers of two of the greatest artists of the Italian Renaissance, Correggio and Parmigianino. Their talent made the city of Parma no less artistically splendid than the major art capitals of Rome, Florence and Venice. More info here. Five newly restored houses (domus) have just reopened at the archeological site of Pompeii. They include the houses of Julia Felix, Loreius Tiburtinus, Venus in the Shell, the Orchard and Marcus Lucretius. The domus are reopening alongside the exhibition “Myth and Nature. From Greece to Pompeii,” which features still lives and gardens, frescoes and fountains, jewellery, statues and vases. And since you’re in the area, stop in Naples for a Neapolitan pizza or two to celebrate and show support for Italy’s recent application to UNESCO for pizza napoletana to be included in the organization's cultural heritage list. Well, the choice is endless in Italy when it comes to local festivals and religious processions celebrating Easter. - Our picks include the Modica Easter procession, where the ritual of the ‘Madonna Vasa-Vasa’ takes over the town located in Sicily, in the Baroque Val di Noto, an opportunity to explore the south-east corner of the island. Corso Umberto, Modica’s main street, can hardly contain the crowds of faithful cramming the street all the way to the church of St. Mary of Betlem to see the traditional "midday kiss" between the Madonna and the Christ Resurrected. Even the BBC stopped by during Easter, as shown on this interesting video, shot for the “Sicily Unpacked” series, which will give you a great taste for what to expect. - In Florence, don’t miss the Scoppio del Carro (‘Explosion of the Cart’): on Easter Sunday morning, a large wagon pulled by white oxen forms part of a procession through Florence’s city center to arrive at the front of the Cathedral of Santa Maria del Fiore. There the fire ignites a fuse attached to a dove-shaped rocket holding an olive branch in its beak. The dove shoots down a wire extended from the cathedral choir to the cart. It sets off a series of explosions to blow up the cart, which is laden with fireworks. Does it sound thrilling enough to you?! - One of the most picturesque Easter processions in Italy takes place on the beautiful island of Ischia. Every year on Easter Sunday, along the main street of the village of Forio, the Corsa dell’Angelo (The Angel’s Run) begins in the late morning. The ritual dates back to the 17th century. Four statues, the Madonna, the Risen Christ, St. John the Apostle and the Angel, are carried during the procession. The event’s culmination is when the statue of the Madonna, her face covered by a white veil, meets that of Jesus, while onlookers throw confetti and sugar almonds all around. 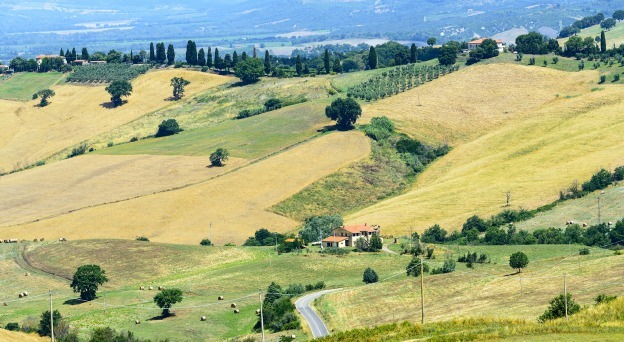 Head to Tuscany’s Maremma to experience nature’s reawakening at its best. Longer and – hopefully - sunny days are ideal for walking, cycling or horse-riding amid peaceful meadows, hills, and olive groves. Nearby beaches begin to liven up, and, if you’re brave, why not take a dip in the sea? Many events are organized in Maremma on Easter weekend, among them: the Pasquavela of Porto Santo Stefano, a five-day regatta ending on Easter Monday; the many colorful sails can be seen from the waterfront. On the evening of Good Friday, many villages (Santa Fiora, Castel del Piano, Tirli, Porto Santo Stefano, Montorsaio, among others) host religious processions, with statues of the dead Christ carried on the faithful’s arms, while the local bands play funeral music. The town of Roselle hosts a reenactment of the Station of the Cross with about 200 figures. At dawn on Easter Sunday, a long procession winds through the streets of Porto Santo Stefano ending with the blessing of the Christ at sea. Take advantage of Easter packages offered by many hotels and agriturismi in the area and all around Italy. Check a list of accommodations here.